Kermily is an energetic young girl who always loves to play and can always put a smile on your face. She moved to the orphanage from Artibonite and has two other sisters. She loves running around the orphanage with all the other girls and especially loves when she gets attention from everyone. It’s not rare to find her jumping rope with the girls which is her favorite thing to do. Her best friends at the orphanage are Marceline and Loudmia. 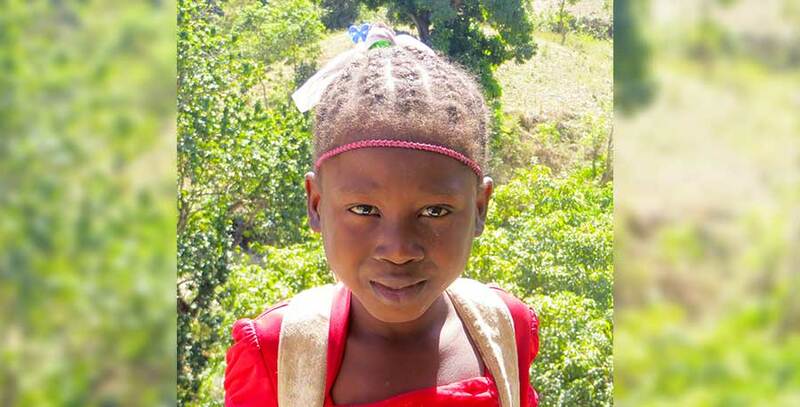 Kermily loves going to school so much that she would like to be a teacher when she grows up to be able to teach other kids. She works really hard at school and understands the importance of education.